Scientists have shown that trauma can leave epigenetic marks – chemical changes that affect how DNA is expressed without altering its sequence. Basically, your traumatic experiences genetically affect your offspring. Scientists have recently focused on the long term after effects of trauma, finding them to be numerous and diverse. The offspring of traumatized people are at a high risk of depression and anxiety, may have higher suicide rates – but this is difficult to explain genetically; one could argue that the traumatized parent is indirectly responsible for this, through his/her behavior, which is in turn influenced by the trauma. 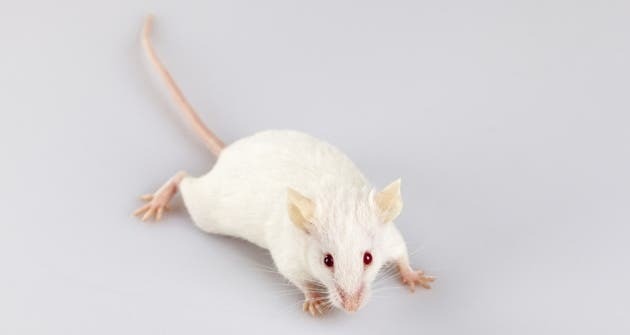 Now, researchers found that stress in early life alters the production of small RNAs, called microRNAs, in the sperm of mice. The mice show depressive behavior for a long time, and so do their offspring. The study is notable for showing that sperm can be influenced by the father’s mental state, says Stephen Krawetz, a geneticist at Wayne State University School of Medicine in Detroit, Michigan, who studies microRNAs in human sperm and was not involved with this study. “Dad is having a much larger role in the whole process, rather than just delivering his genome and being done with it,” he says. He adds that this is one of a growing number of studies to show that subtle changes in sperm microRNAs “set the stage for a huge plethora of other effects”. Isabelle Mansuy, a neuroscientist at the University of Zurich, Switzerland, and her colleagues periodically separated mother mice from their young pups and exposed the mothers to stressful situations. They subjected the mice to this torturous experience every day, but at erratic times, so that the mothers couldn’t comfort their children in advance – morally, I find this disturbing, but from a strictly scientific point of view, you can’t argue with the method they used. The males which were raised this way showed depressive behaviours and tended to underestimate risk, the study found. Their sperm also showed abnormally high expression of five microRNAs. One of these, miR-375, has been linked to stress and regulation of metabolism. When it came to the following generation, they were also more depressive than their control counterparts, even though they were never subjected to any trauma. To rule out the possibility that the effects of stress were transmitted socially, the researchers also collected RNA from the F1 males’ sperm and injected it into freshly fertilized eggs from untraumatized mice. This resulted in similar depressive behaviors which were passed onto the next generation. While there is still much to be discovered about the biological underlying mechanisms, this is the first study to show that traumatized mammals affect their offspring directly through the sperm.